Northbound over the East River. 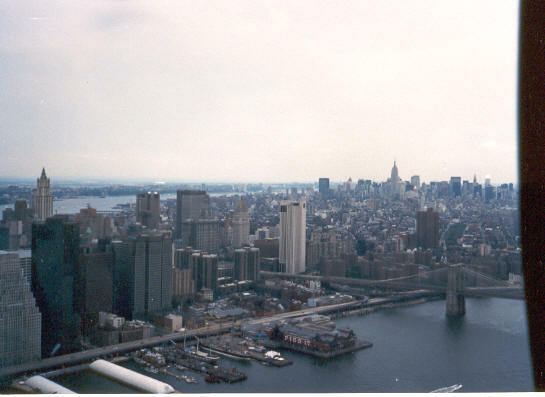 Below us are the South Street Seaport and the Brooklyn Bridge. The Woolworth Building is at the extreme left.